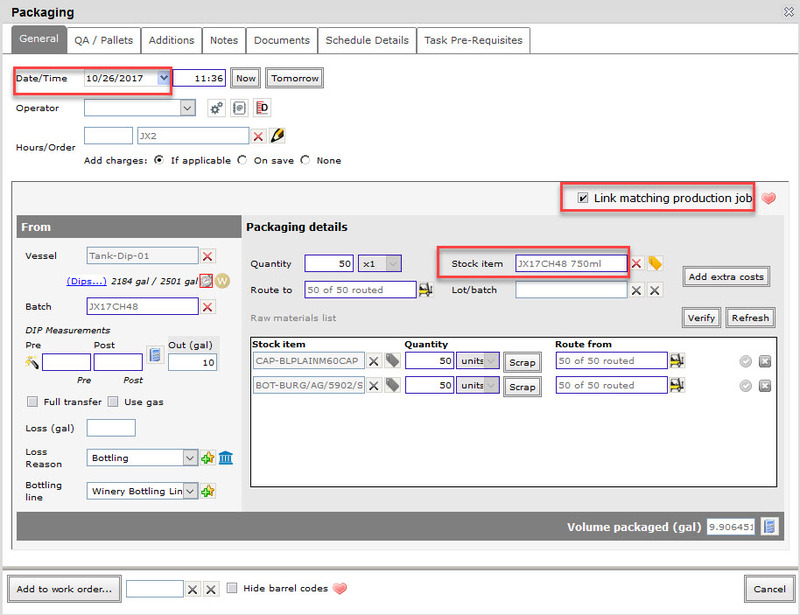 You can now link your packaging work orders to production jobs for easier production management. Click here for more information on production jobs. This feature is only available in the vintrace Enterprise package. Select Consoles > Production Job. 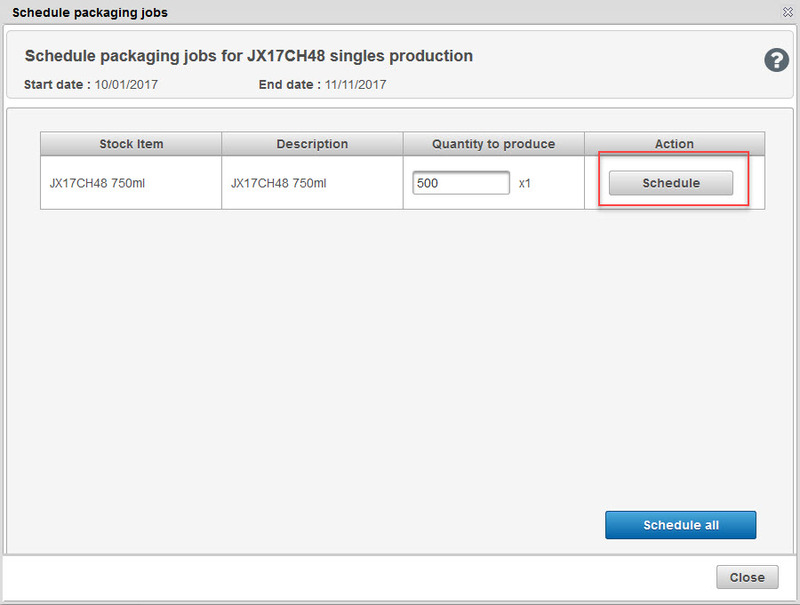 Click the down arrow in the Actions column for the job for which to schedule a packaging work order and select Schedule bottling. Enter the quantity to produce and then click Schedule or Schedule all. 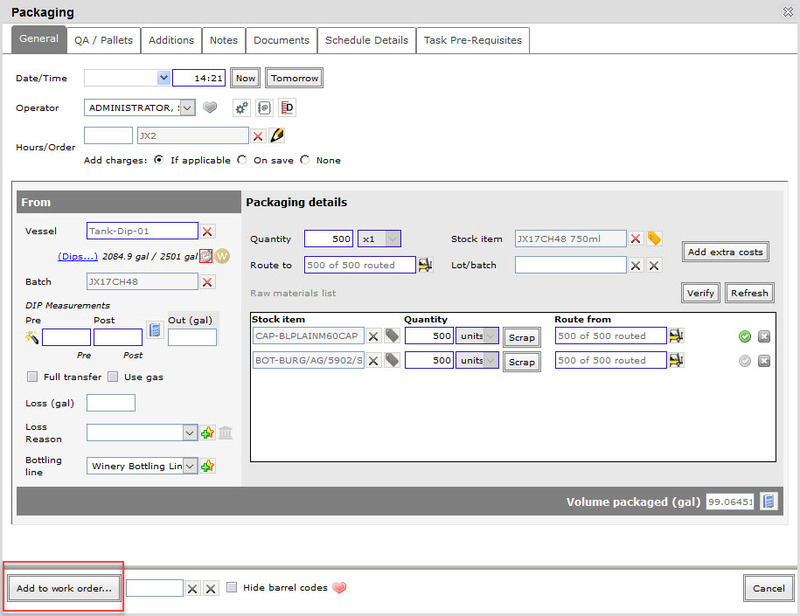 On the Packaging screen, complete the required fields, and then click Add to work order. 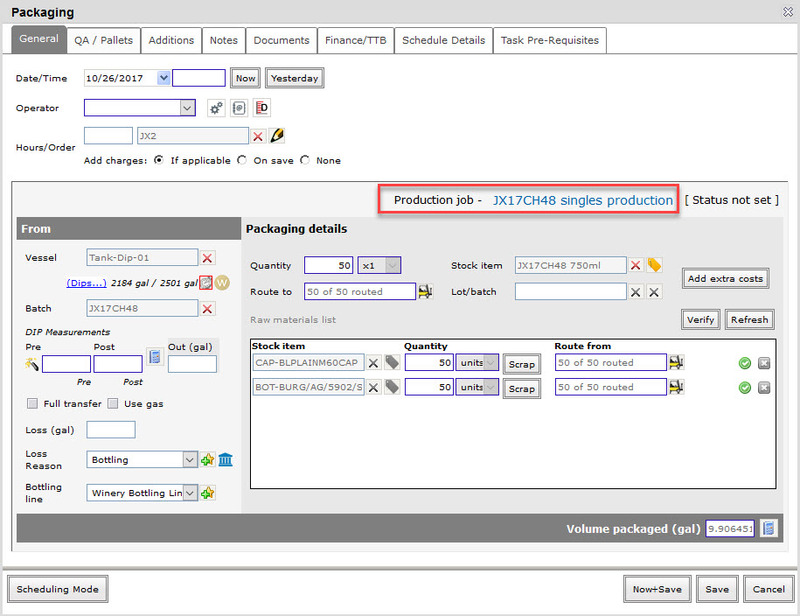 To view the created packaging work order, go to the production job and click the Scheduled jobs tab. 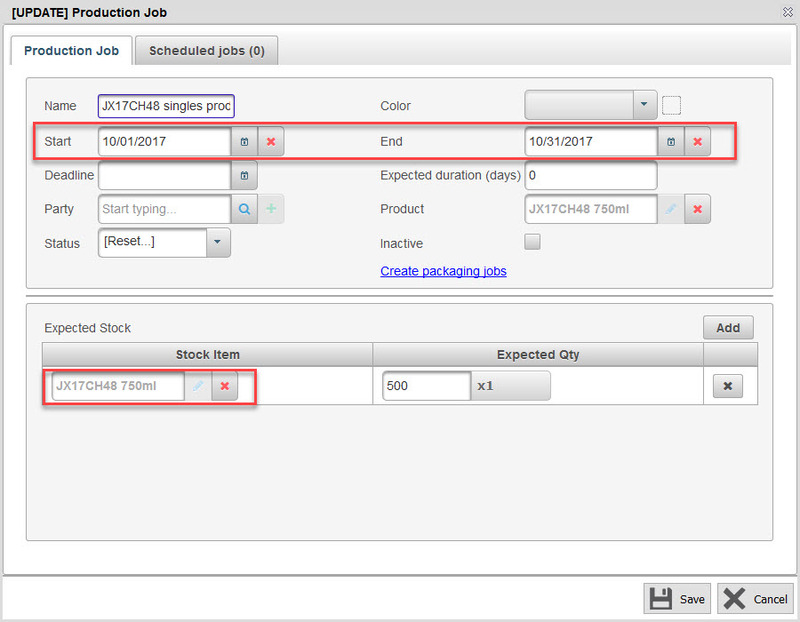 Another way to schedule packaging from a production job is by clicking on the Create packaging jobs link from the Production Job screen. 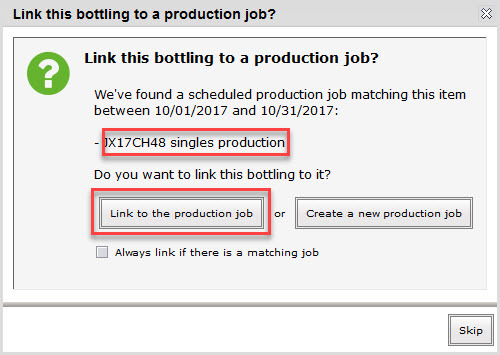 When scheduling a packaging work order, you have the option to link it to an existing production job by selecting the Link matching production job field. This links your packaging work order to a production job that matches the packaging stock item and the scheduled date of the work order. 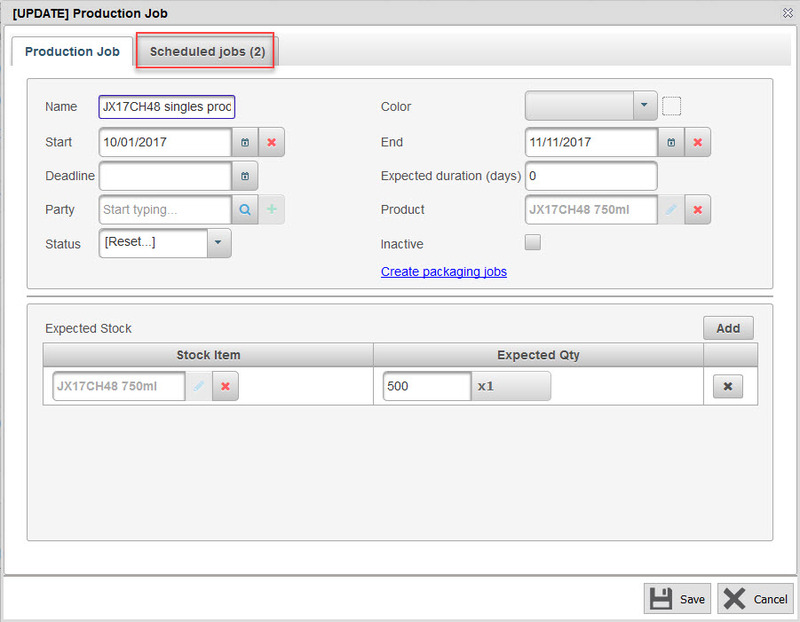 In the example below, we have an existing production job named JX17CH48 singles production“that has a date duration of 1 Oct 2017 to 31 Oct 2017 and an expected stock item JX17CH48 750ml. We then create a packaging work order for the stock item JX17CH48 750ml with a scheduled date of 26 Oct 2017. 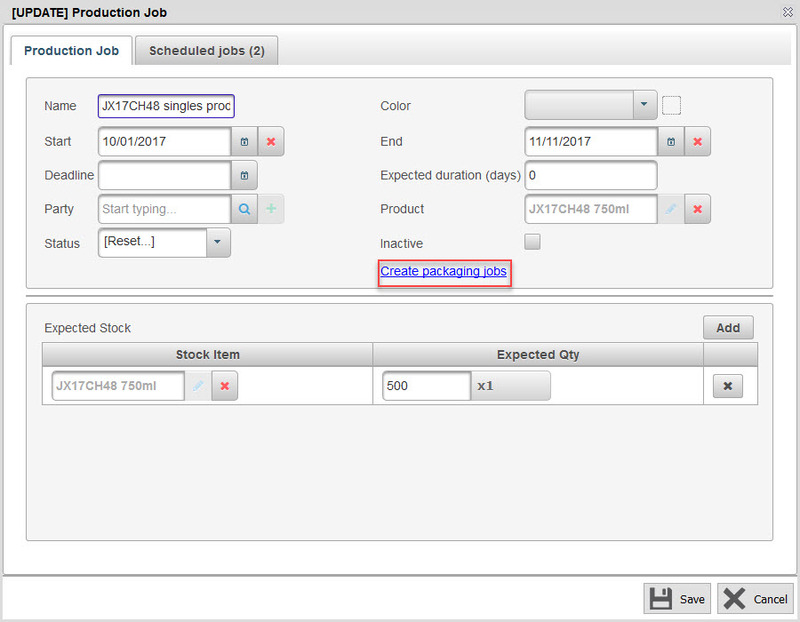 Select the Link matching production job field, and then click Add to work order. In the Link this bottling to a production job? dialogue box, the matching production job is displayed. You have the option to either link to that production job or create a new one. In the example below, we have clicked Link to production job. 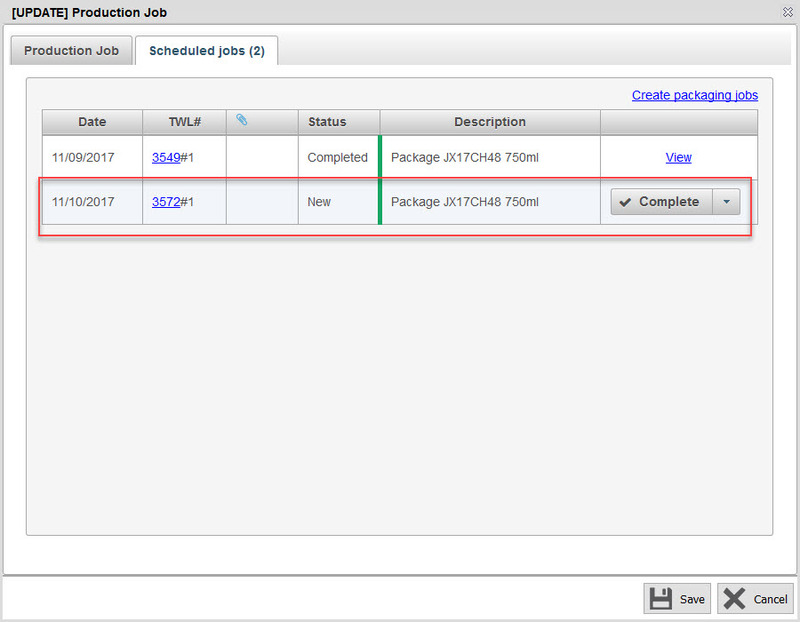 When you view your scheduled packaging job, you can see the linked production job.